Why, Yes, That IS a Gluten Free Cake! I haven’t been cooking much lately, other than the regular meals all hum drum, like meatloaf, baked chicken, catfish (yes, still eating it), and pork chops. I haven’t been experimenting with recipes, or making up my own, just because I have been working so much and just want to get it on the table. So, today, I had a day off. 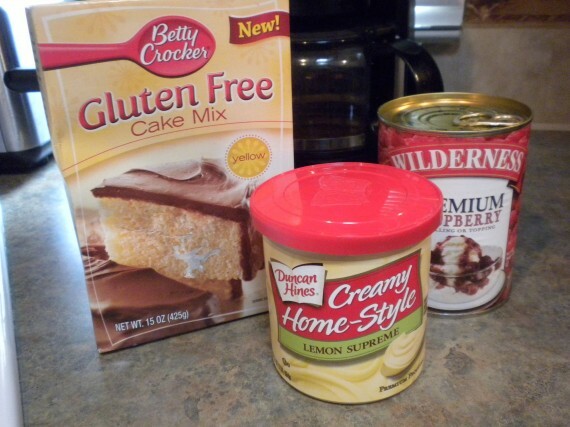 I was yearning, craving, something sweet and gooey, so I looked in the pantry and found a gluten free cake mix, some frosting, and gluten free raspberry filling (I usually use that to make a sort of cobbler). 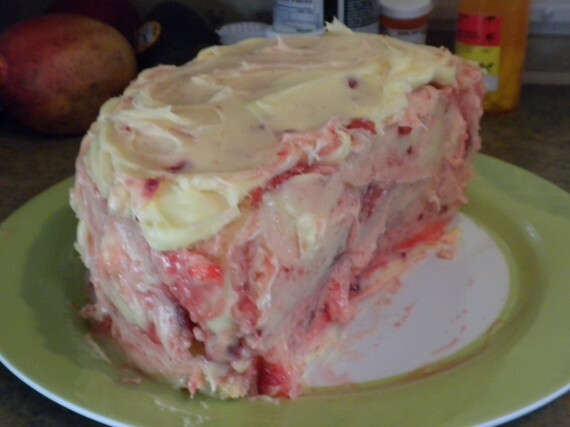 And then my brain started swirling and spinning, thinking, “A gluten free lemon raspberry cake would be soooo goood!” I also thought to myself, “I better make it and eat it before that doctor down in Flagstaff tells me I shouldn’t eat crap like that anymore, gluten free or not. 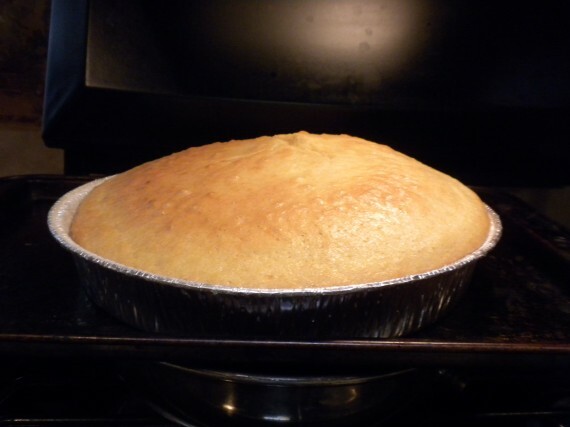 I baked the cake according to the directions on the package for high altitude. It came out great, except for being a little lopsided. I fixed that by using a huge knife and cutting off the bump (it made a delicious treat for me!). 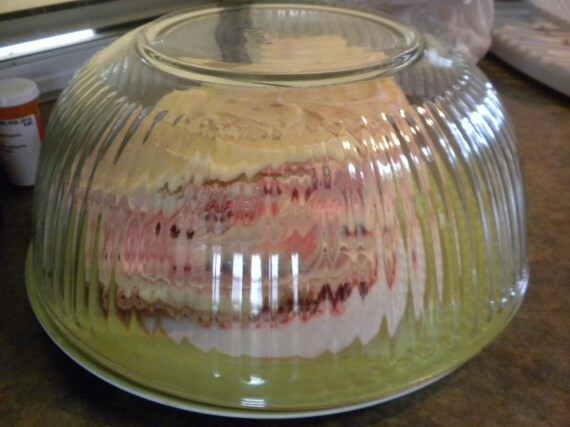 Because this mix only makes one layer, I cut it in half to make two layers for half a cake. 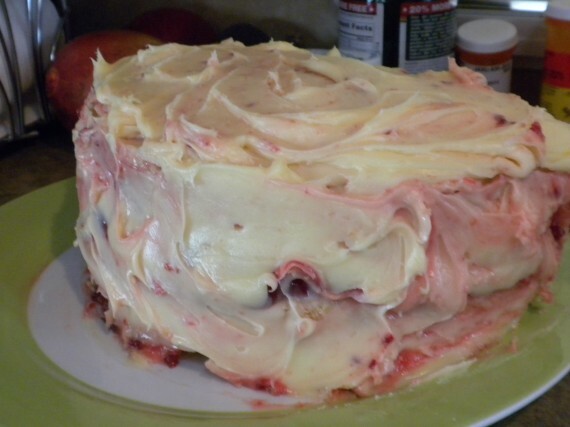 I spread a generous portion of the raspberry filling between the layers, then frosted the whole thing with the lemon frosting. not as pretty as I imagined, but it is gluten free. The finished product did not turn out as pretty as I had imagined in my head, but it tasted very good. The raspberry filling squished out in places through the frosting. Oh, well…..
Looks yummy. I guess Duncan Hines frosting is gluten free down there. The ones I’ve checked up here are not. Maybe I need to look further. My sister has asked me to bake a gluten free cake for our family cottage weekend coming up soon so I have to look into doing that. I think it looks delicious, gluten free or not. Yum, raspberries and lemon sounds like a great combination. I bet that made you feel better. Cooking something different.